Held in a Kiwifruit Cool Store, this year the annual Easter Rotary Book Fair (3rd-6th) was as rewarding as ever. 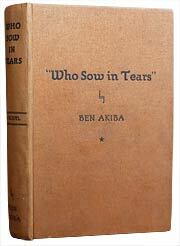 I thought I was well acquainted with New Zealand fiction written during WW II, but haven’t come across Ben Akiba’s Who Sow in Tears before. Story about Jewish refugees. 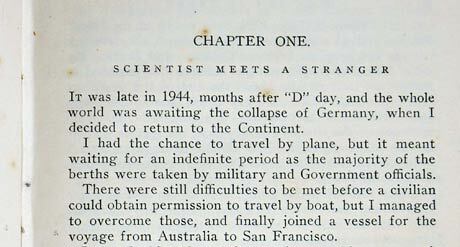 Author later went to Israel and wrote another book: Challenge to biology and genetics. 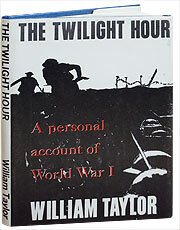 Another find was The Twilight Hour: a personal account of World War I by William Taylor, self published, edited by J. H. Sutherland and beautifully printed and case-bound by Arrow Press. William Taylor was born in Wellington, 11th February 1984. His father was a marine engineer with the Union Steamship Company. The family later moved to Auckland where William’s story begins and continues through the war years. 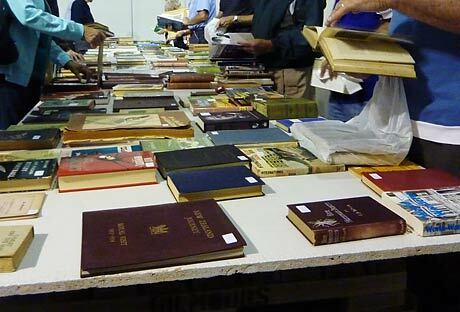 This year was the 23rd annual book fair the Tauranga Rotary have held. With a 9.00 am start my father and I like to be early, we arrived at 8.00 am and took our place in the queue with about 40 people in front of us. In the following hour before the doors opened there were about 400 people behind us!